Two months before timeline dated in Schedule accepted by UEFA, draft Project of National stadium in Warsaw is ready. 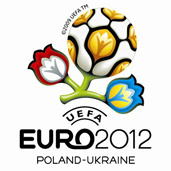 It Has to be a major arena of Football European Championship. They’ve projected roof of object curiously – It will be “wrappable” and hidden to special can which will hang centrally over the field. Roof will be not only “wrappable” but also heated. Specialist, Regulatory Project (eventual and the most precise) will be ready in December, At the beginning of May on the terrain of decade stadium will be conducted the mock posting, which will help in choose the techniques of making the land better.